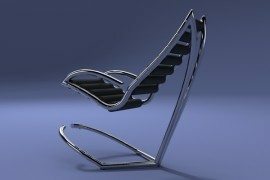 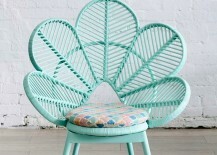 Purchased new, peacock chairs can cost hundreds of dollars. 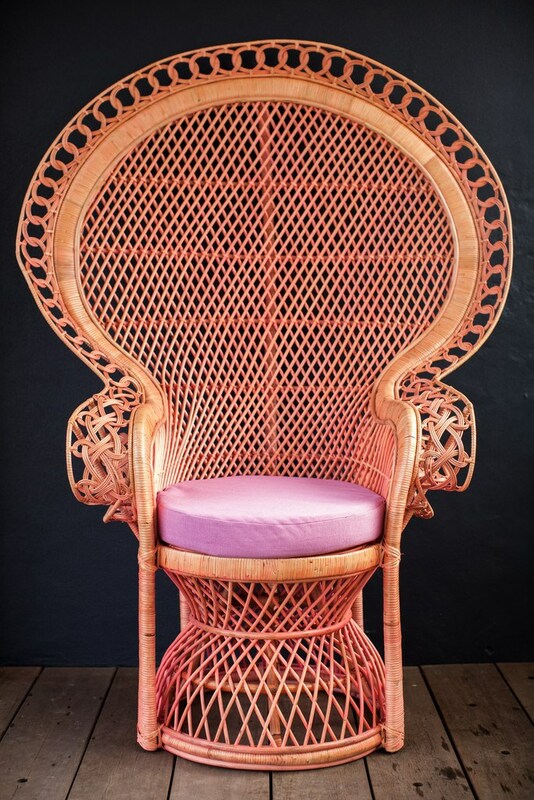 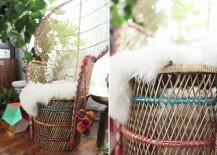 The beautiful Pink Peahen Chair below (from Millie + Eugene) is a lovely example of new peacock chair style! 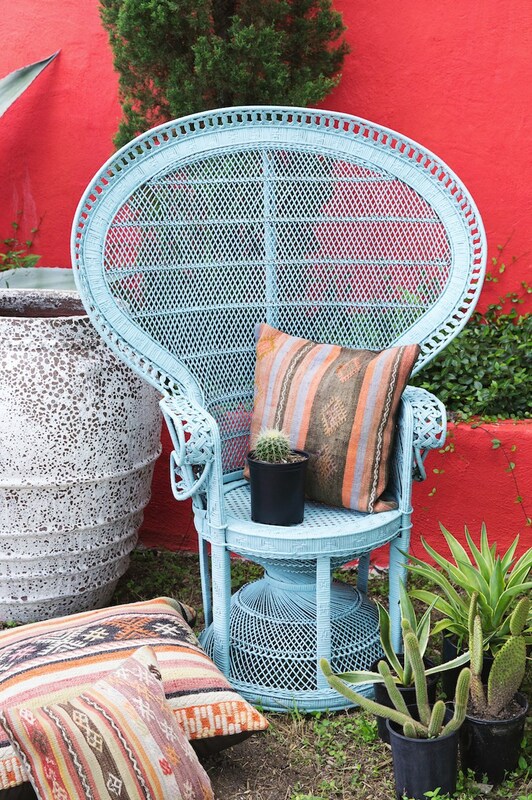 If you’re lucky enough to find a retro peacock chair at an affordable price and you’re on a budget, try repainting it and then matching the cushion color to the paint color for a monochromatic look. 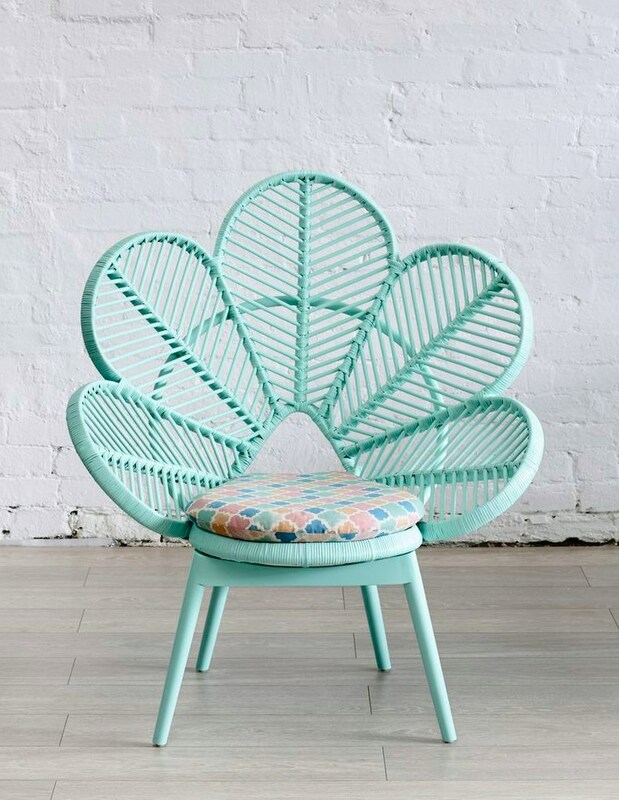 Just how do you go about painting a peacock chair? 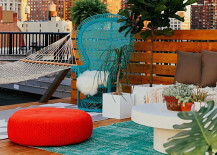 While some may resort to spray paint for quick coverage, others claim that painting with a brush may result in better coverage. 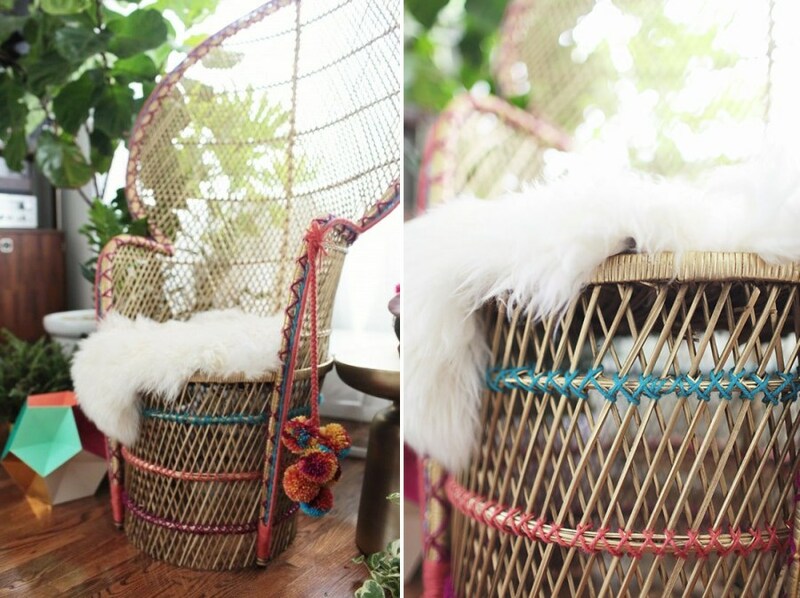 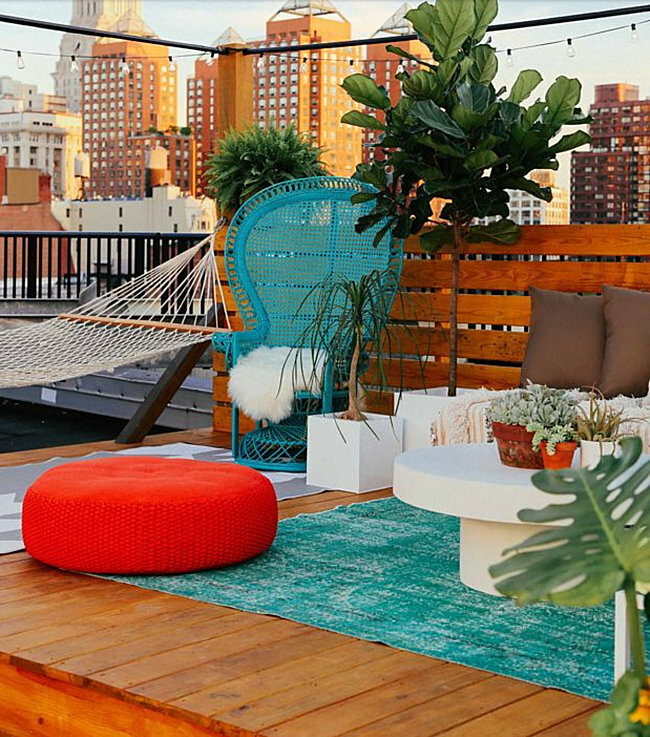 Chanel Dror of Camille Styles employed this technique in her DIY Peacock Chair Makeover. 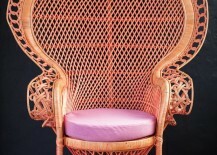 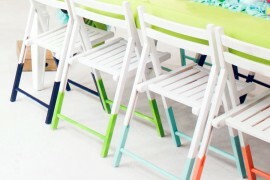 After all, spray paint tends to just blow through the holes of the woven chair. 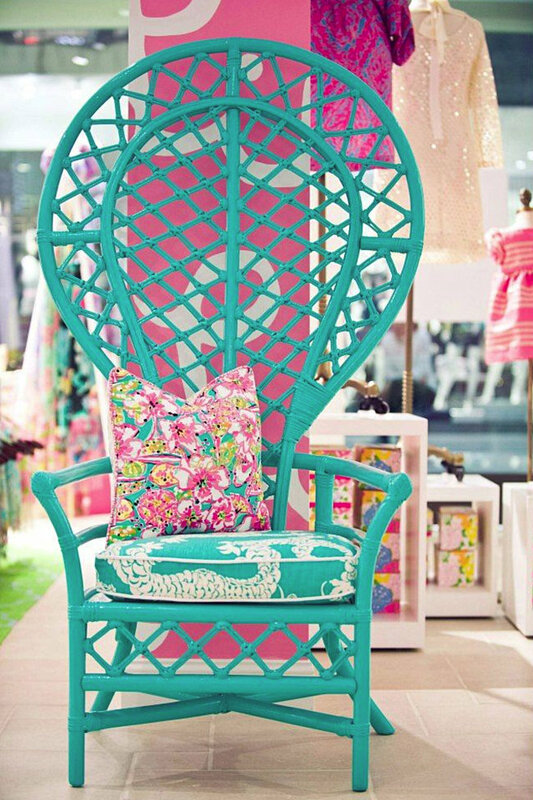 Blue was the color of choice, and the result is divine! 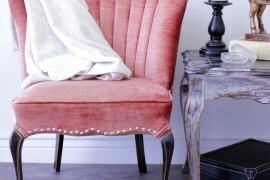 We now shift gears from pastels to ultra-vibrant colors, such as purple! 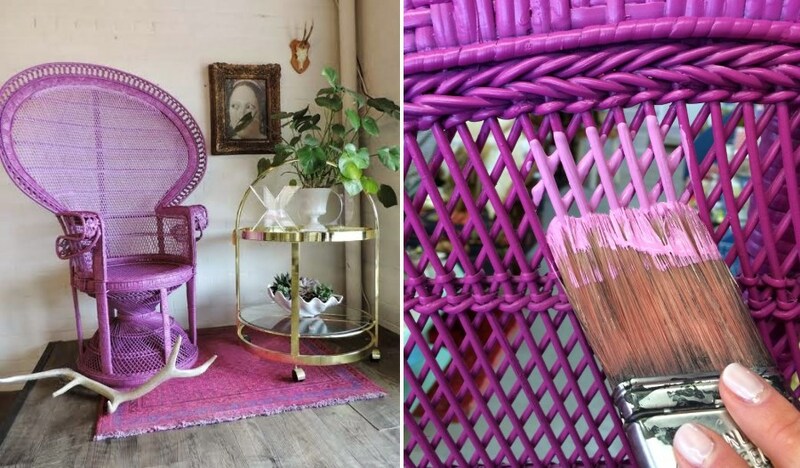 Using a combination of spray painting and hand brushing, Amanda from Recycled Consign & Design created this vivid masterpiece. 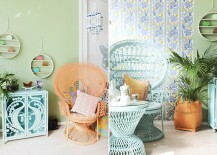 Note the two shades of color involved. 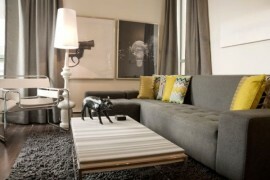 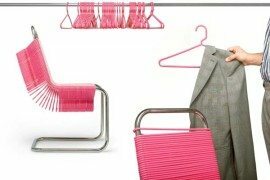 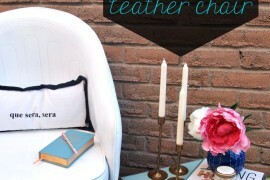 Doesn’t the chair look fabulously modern in the vignette below? 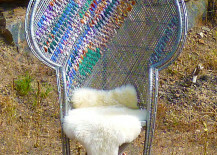 We’ll take a look at one final painted peacock chair before moving on to some fabulous woven embellishments. 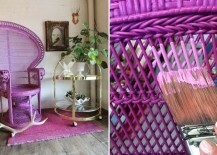 The color at hand: magenta! 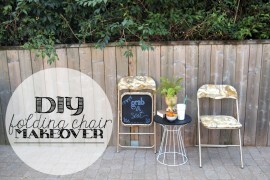 Nadia from Preciously Me chose to spray paint her chair, and then she finished it off with a spray varnish. 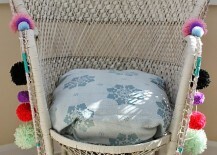 She also made a cushion from foam and beautiful fabric. 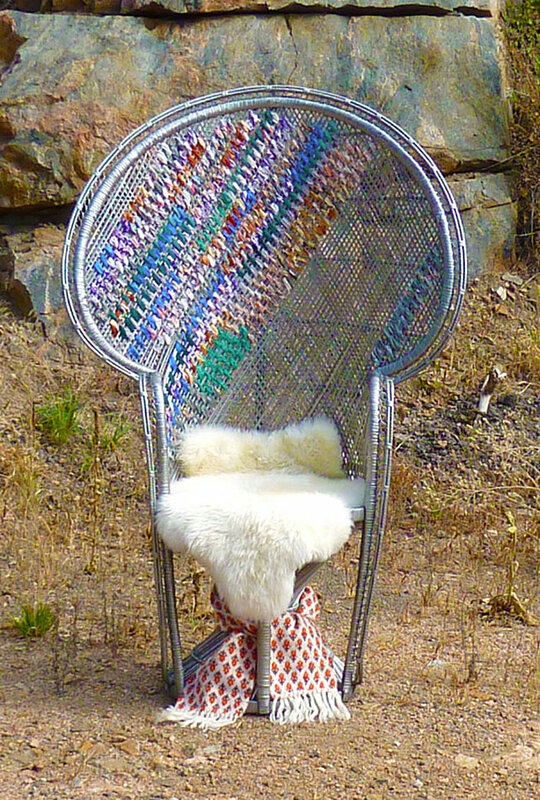 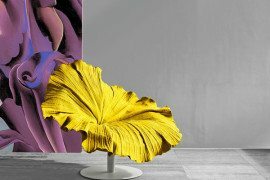 Would you consider making a custom cushion for your peacock chair makeover? 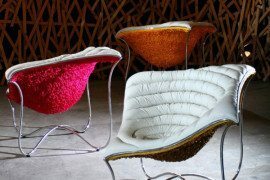 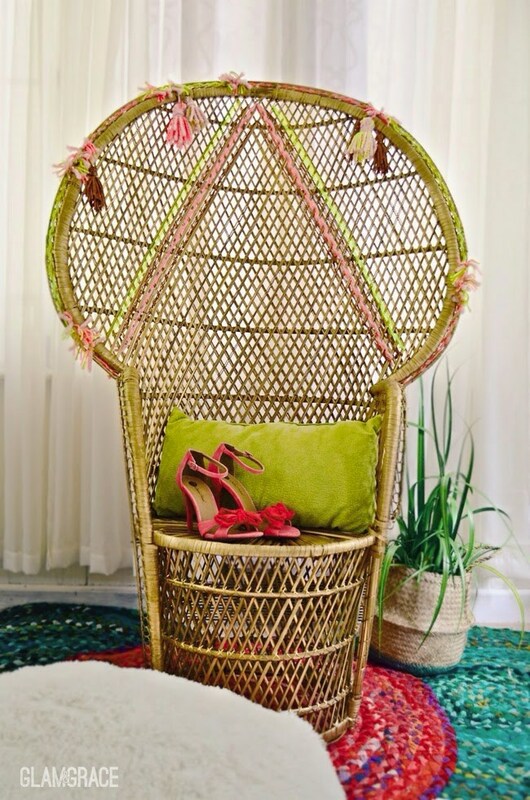 Adding vibrant color to your peacock chair is a great way to go, but you can also take things up a notch by incorporating some weaving into the design. 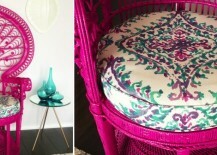 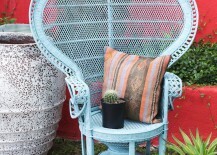 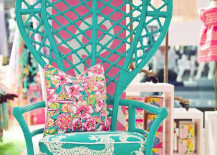 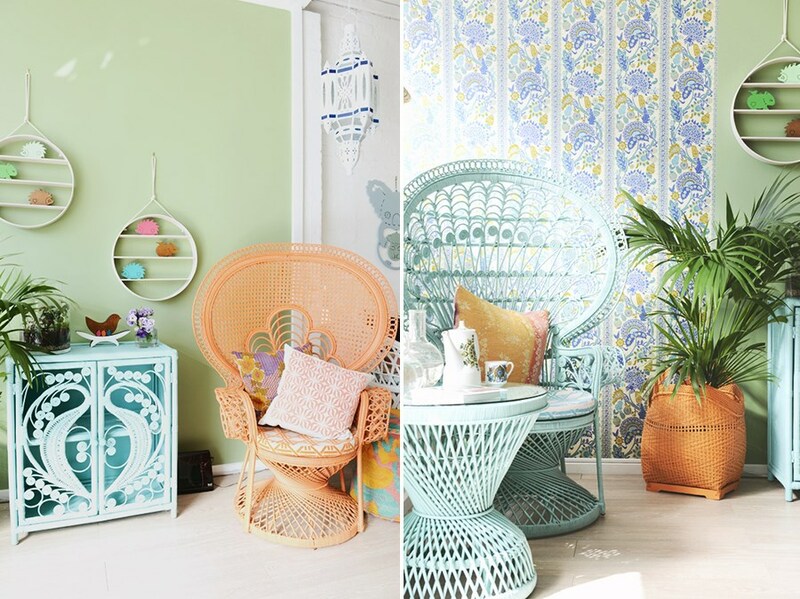 Below we see a peacock chair makeover from Glam & Grace. 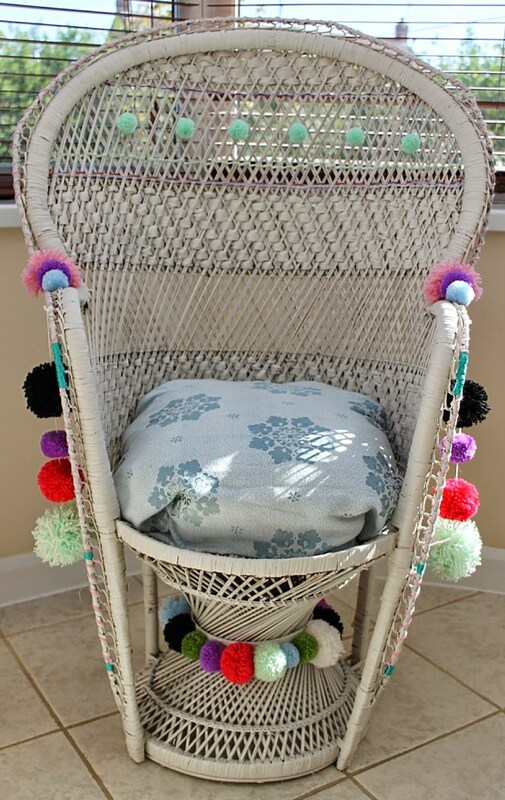 Note the use of yarn to create a geometric focal point at the center of the chair, as well as tassels!